Space Lizards Ate My Sister! An asteroid is about to hit planet Earth, Admiral Skink (yes, the same evil space lizard that stole Lance’s mind) is back and up to his old tricks again, oh, and his little sister, Sally, has just been swallowed by a giant lizard creature from outer space…. It’s up to Lance and his best friend Tori Walnut to travel to Admiral Skink’s home planet, find a way to rescue Sally, and save the world. Which shouldn’t be too hard, should it? 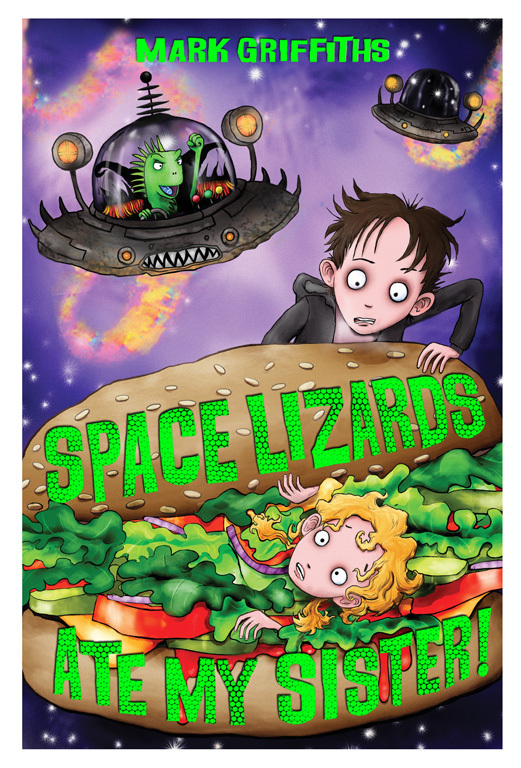 Reviews of Space Lizards Ate My Sister!